This table patterned after one designed by Doug Thompson. The ends of the scrolls were all hot tapered through forging. Notice the twist on the massive legs, that is 1 1/4" square bar! The finish is antique black patina with clear coat. 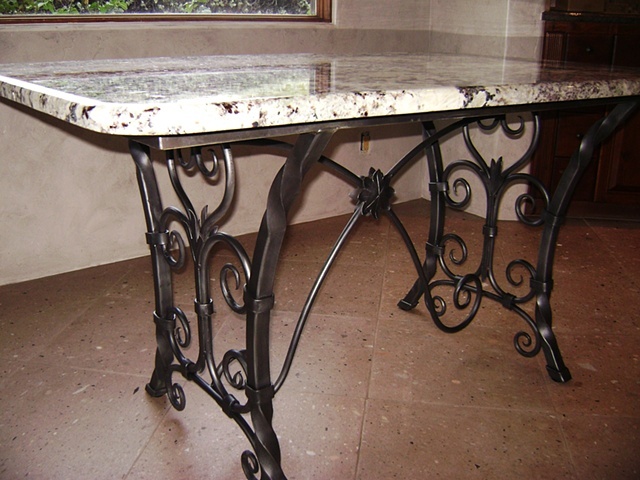 A gorgeous stone slab tops it off.